This book is twisted.... this book is sick... this book is demented.... this book is dark.... and for all these reasons I should be disgusted.... but above all of those, it was also indulgent, decadent, intricate, masterful, engaging, enthralling and simply... amazing. Let's start with the writing itself... The writing was probably the worst part of the book BUT, that being said, the writing was actually done really well! The choice of words, sentence formation, the flow, it all was just seamless in nature, the building suspense, the tone… they were all great! I remember commenting to myself while going through this book that this was written really well. This lends to one of the book's most alluring traits... It allows you to be able to get absolutely and positively lost in it. When a book is easy to pass through like this, it's easy to see the time fly by. Secondly you have the story... the story was (and I go back to my intro) twisted, sick, dark and demented. From the start of the book you know something is not right but not even I thought it would end up the way it did. The more you go into the story and the more you learn about Nick and Amy, the more you find yourself getting lost in the story. This book felt like such a guilty pleasure, that one night stand that you enjoyed supremely, that ice cream sundae you can't help but have even though you’re on a diet, that extra slice of cake that you stole from your older sibling... It fells completely wrong and you know it is completely indulgent but it also feels oh so good. That was what this book represented... If you have even an inkling of a dark side and willing to go through a raw, uninhibited, honest and demented view of an atypical relationship then you would simply LOVE this book. If you are looking for a cookie-cutter/true love conquer all/marriage is wonderful/life is perfect story then run for the hills and don't even look twice on this book. I am so impressed by this book. I see why this is seen as one of the best books of 2012. It is so easy to lose yourself in this book it's not even funny. ONE IMPORTANT THING: DO NOT LISTEN TO THIS BOOK IF YOU HAVE AN AVERSION TO SWEAR WORDS. Do not listen in the company of children. The book is ripe with swear words at all but there are a number of sudden outburst and moments of anger simply filled with rampant curse words. 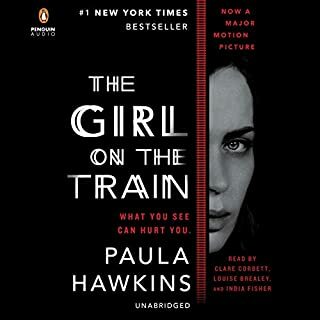 I don't like thrillers, detective mysteries, or beach reads; hesitant to read/listen to this one. Delighted I did. This is a thriller with rich, flawed, complex characters and a surrounding mythology keeping you thinking and trying to figure out references long after you press pause. The author whisked me through the whole gamut of emotions and I swayed between sympathizing and detesting the characters equally at different parts in the book. The story is exciting from beginning to middle (where most books sag) to the end. Had no clue how this one would turn out and was surprised (nice change). Believe the hype and enjoy. In Gone Girl a wife is missing. Having been immersed in so many mystery books and television plots you usually go with the strategy of who is the least likely suspect as a mystery unfolds. I used that strategy in the first part of this book as the author withholds vital information as to what is really going on. That made this a mildly interesting book and it would have remained that way if the book had ended on this plot point. In the second part my prediction was confirmed but then something funny happened. The book went in a totally unanticipated direction. Now, I was hooked and totally absorbed. I could see possibly how this would end but did not care because this journey was getting so fascinating. Little did I know that there was going to be a couple more surprises in this richly entertaining mystery. All of you jaded mystery readers and viewers are in for a treat with this book. I really liked how the plot of this book was so intricately woven around (mostly) interesting characters. The first 75% of the book is very good and kept me listening. The narrators were excellent!! Near the end of the book, something quite silly happens and then… it’s as if the writer got sick of the story, or didn’t know what else to write. I thought the ending was terrible, completely unbelievable. What was the editor thinking?? I really liked the vast majority of this book and kept thinking about how I can’t wait to see the movie when it comes out. After I finished the book, I am no longer interested in seeing the movie. The end was such a let-down given the strength and weight of the rest of the book. I felt cheated as a listener. 'I Used to Love Her, But I Had to Kill Her' ??? *This is a very tight story; I caution you to be selective with the reviews you read--it would be so easy to inadvertently let a spoiler slip. You....know....nothing. You are on a turbulent twisting ride, observing a fractured poisonous marriage that makes War of the Roses look like a day with June and Ward Cleaver. Amy and Nick's marriage seemed perfect; the gorgeous hunky golden boy meets the stunningly beautiful and wealthy "cool girl" (i.e. a size 2, loves beer and football, dirty jokes, burping, three-ways, believes in letting her man stay out all night with the boys--yeah sure, and there is a Big Foot). But once the money is...Gone, the powerful NY writers jobs are...Gone, the important social connections...Gone, the dream home...Gone, their facades start to...Go; you see that "just as paranoids sometimes have real enemies, each of them had, in each other, found a mate who fulfilled his or her darkest expectations about the possibilities of love." The first portion of this book is first person narratives, journal entries, by both Nick and Amy, who reveal little by little who they really are, both by what they say, and by what's between the lines--then all hell breaks loose. Some reviewers have mentioned they thought the second portion wasn't as enjoyable. But that's where all the fun begins--where the elaborate series of malicious and important little clues start to unravel who these two really are, and their possible personality disorders. So hone up your detective skills, review the MMPI and DSM IV, and dig in. I can say no more, lest I spoil it for you! 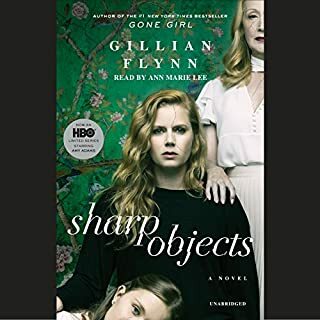 Gillian Flynn is known for her ability to craft wonderfully contaminated and unlikeable characters, dark--very dark smart plots, and combine them with enough familiarity that the reader becomes totally engaged, and almost feels compelled to turn the page. Her previous novels were almost too dark for me, especially Dark Places, but her writing is so distinctive and witty, and her insight so dead-on, that after a breather and a dose of anything light and fun, I'd go back for more. That's what a good writer does for me. This book contains lots of hard language and sexual situations, enough to be a deal-breaker for some readers.The ending seems to be another issue for reviewers, but see how you feel about it...regardless, the journey is top notch, probably Flynn's best work to date. This is an incredible book. WIthout the slightest bit of fantasy or hyperbole, the author shows the reader that the real demons are those inside of us. It's difficult to write about the unparalleled brilliance of this story arc, it's sidebars and underlayers, and the author's out-of-the-box imagining of the characters, without hugely spoiling. It's a bit techno-thriller, a bit relationship commentary, and there is a lot of narrative whiplash where the story takes a sharp turn and you're left with "well, I didn't see that one coming". The author's writing style couldn't be more sophisticated and loaded with complex imagery and phraseology - I found myself writing down word-bytes that were just off-the-charts clever and overflowing with wit. While it's possible to pick up an anti-elitist vibe, it's all done with humor and mastery. Then on the other hand, there's an anti "average" vibe, critiquing those whose middle of the road lives seem to the main character as achieving a degree of dullness that is beyond belief. It's a dual message, but it's navigated delicately by the author. Wealthy big city snobbery is mixed with a huge putdown of the predictable choices made by the affluent. Both narrators picked the perfect tone for this reading. It's a great listen, and I did not want it to end. And actually - in a way, it doesn't. The two main characters are caught in a trap of their own making. When I was in high school, I caught a late night showing of Mike Nichol’s 1966 film adaptation of Edward Albee’s “Who’s Afraid of Virginia Woolf?” I knew nothing about the play or the film, but Richard Burton and Elizabeth Taylor were starring. They’d had a tempestuous, headline-grabbing relationship that I was dimly aware of. It was a warm summer evening and I had nothing better to do, so I settled in to watch. It wasn’t long before I felt chilled and nearly sick. I remember quite clearly thinking, “What the hell am I watching?” as I watched George and Martha’s folie de deux. 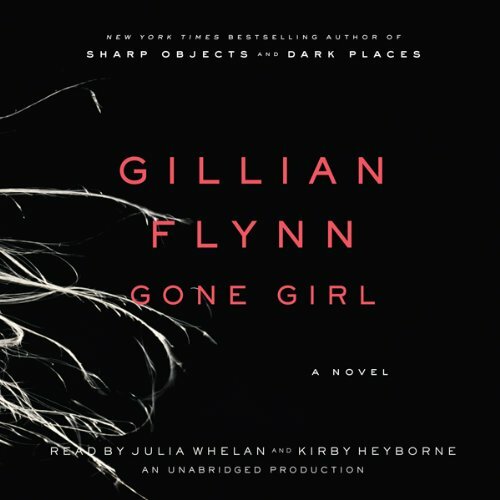 Several hours into the Audible version of Gillian Flynn’s “Gone Girl”, I thought, “What the hell am I listening to?” I live in California, and, like that long ago evening with Burton and Taylor, it was a warm day – but I was cold, and my mouth tasted metallic, as if I’d bitten down on a bit of foil in a piece of Wrigley’s Spearmint Gum. I knew something was wrong – terribly wrong – between Nick Dunne and his wife, Amy Elliott Dunne, but I didn’t know what. Flynn doesn’t start to reveal what is wrong until halfway through the book. When she does, it’s like starting to eat a beautiful Golden Delicious apple, and discovering rot underneath - and then a squirming mass of maggots. Flynn’s writing is compelling, detailed and evocative, and that makes the rotten core of the Dunne’s marriage incredibly shocking. Some of the language in the book is jarringly vulgar. The thoughts that language expressed were true to the character that said them, and one of the first indications that character did not think like other people. 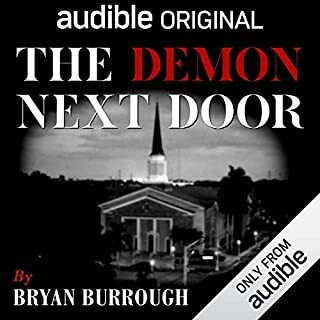 This is the first audio book I’ve listened to where a split male/female narration not only worked, it enhanced the story. Kirby Heybonne was a smug, arrogant Nick Dunne. Julia Whelan was Amy Dunne, beginning with cloying (and unchanging) naïveté of Becca Battoe’s Anastasia Steele in E.L. James “Fifty Shades” series. Whelan’s narration changed with her character, and so did Heybonne’s. This isn’t a book for those lucky, cheerful, hopeful optimists who live by Facebook posts on the power of love. It’s not a book for horror fans who safely relegate terror to demons summoned by a ‘Book of the Dead’, a la “Evil Dead” 2013. This book is for those who know that real people can be terrifying, and can do utterly horrible things. Those people are the people of Simon Baron-Cohen’s “The Science of Evil: On Empathy and the Origins of Cruelty,” 2011. The Audible book is about 19 hours long, and it’s a compelling way to pass a long drive. Sleep isn’t possible when listening. In case you are wondering, the title of the review is a line from "Gone Girl", quoting a line from a different source. Glad Gillian Flynn Has Broken Out! Where does Gone Girl rank among all the audiobooks you’ve listened to so far? 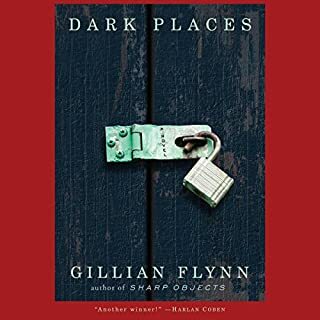 I've listened to all of Gillian Flynn's book and this was enjoyable and exciting. "Dark Places" is still my favorite of her books though and I'd rate that a full five stars. Gone Girl was unique in the way the characters were revealed little by little in alternating chapters. On the surface we were introduced to a married couple who seem to be sharing the intimacies of their marries. 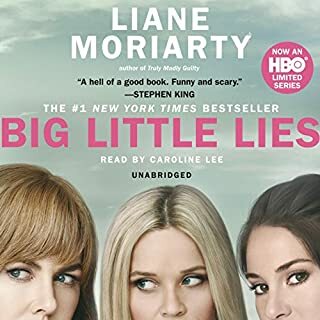 As the book progresses it's apparent that something is wrong because the stories diverge in a way that makes it clear someone is not telling the truth. During the course of the book I could not tell who to believe, which built the drama and excitement as I tried to figure out the puzzle. I enjoyed having separate voices, which allowed for very distinct characters to emerge. I could not wait to get back to this as the story raced to an impending drama. Flynn kept me constantly surprised as she dosed out the real story a little at a time. One of the most exciting listens I've had for awhile. Any Gillian Flynn is worth a listen because of her innovative plots and interesting characters. Definitely one of my favorite writers and I'm glad she's finally broken out of the pack with a bestseller! There's not much I can say about this book without spoiling some of the fun. It begins abruptly. Housewife Amy disappears on her five year wedding anniversary. 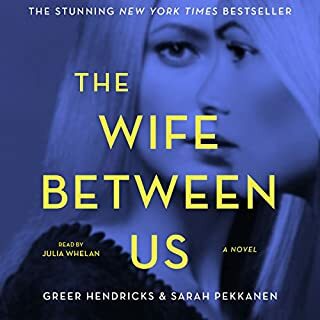 The story is told alternately from the point of view of her husband, Nick, beginning the day of her disappearance and then passages from Amy's diary which starts at the beginning of their relationship. Readers are torn by the dubious Nick--can we trust anything he says? And we are treated to a conversation depiction of a strained marriage. There was a lot of hype behind this book, so I did purchase the day it came out. I wasn't disappointed. I spent every waking hour listening to this one--so beware. I truly enjoyed this one. Kirby who reads Nick is decent, but Julia who reads Amy is awesome. She is perfect. I was intrigued by the reviews of this book and with all the hype I found myself wondering throughout the first half what the fuss was about. It seemed a little boring. The second half made up for the slow beginning, in fact I almost wanted to go back and listen to the first part again to see what I may have missed. My advice is to pay attention to the beginning and it will evolve. It was the perfect twisted story of two twisted people that truly deserved each other. It certainly keep me listening to see what bizarre thing would happen next. The narrators were excellent. Definately a case of sick and sicker!! !